I hope you are all enjoying the sunshine this weekend if you're living in the UK. After suffering in the freezing cold this last week I for one am glad to be having a little fun in the Sun. What better way to celebrate than with some tropical print nails? These are slightly understated as it's not quite full on summer weather. 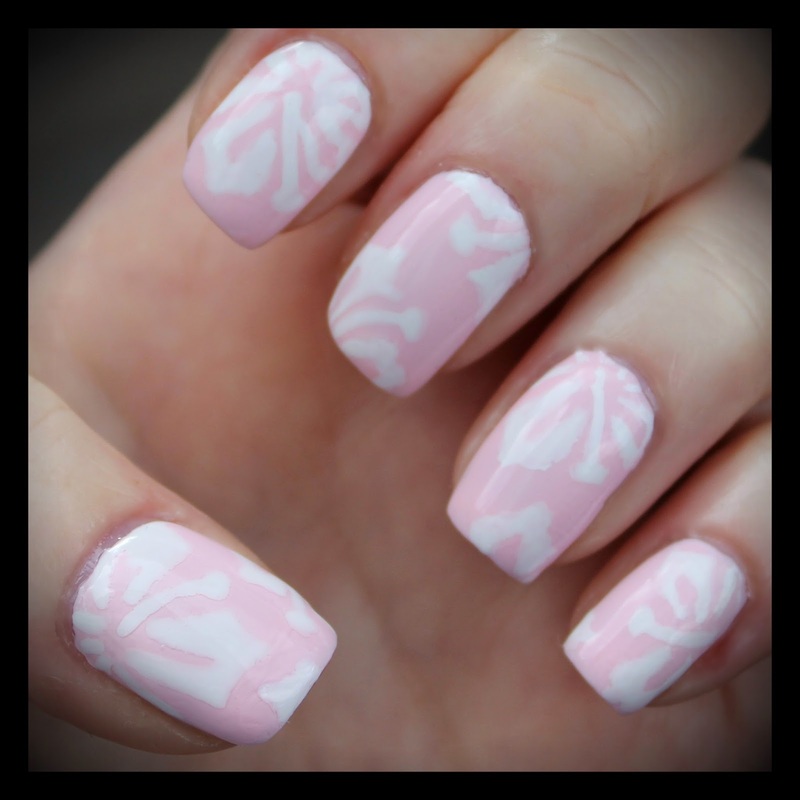 I used a base of Barry M's new Rosehip Gelly and drew on some white Hawaiian flowers with a white nail art pen. To top it all off I used a coat of Seche and I was good to go! I'll keep it short and sweet today so that you can all go off and enjoy the rest of this lovely day!